Automatic cars prove much easier to use especially for first-time users as compared to manual cars. This could be attributed to the fact that their engines are less likely to stall. In automatic cars, manual gear changing is overridden unlike in manual cars where the driver is required to shift the gears. This can prove difficult in hilly areas and in stop and go traffic. However, what automatic car owners consider easy, manual car owners consider powerlessness. 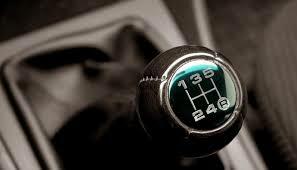 The lack of ability to control the gears of the car is what discourages manual enthusiasts from automatic cars. They claim that a fundamental element in the driving of a car is eliminated the minute, the gear-shifting control is taken away from the driver. On the other hand, the lack of gear shifting and a clutch is what attracts people to automatic cars. The automatic car enthusiasts back up their love by saying that automatic cars are way safer. This is because the lack of constant gear shifting allows the driver to have both arms on the steering will. Also, the reduced likelihood of engine stalling means that there is also a reduced likelihood of collisions. Although the difference in fuel consumption between a manual and automatic car is not very significant. Manuals are still considered more fuel-efficient than automatics. This is because humans are still considered more apt at recognizing a gear shift as compared to machines. 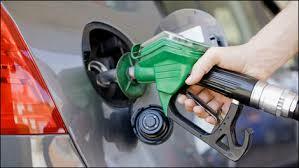 You will, therefore, save a little more on fuel if you choose an automatic over a manual car. Not only are automatic cars easy to use, they are also very comfortable. Driving an automatic car is smoother since they do not require the great deal of concentration and coordination that are imperative when driving a manual car. When navigating a hilly area, an inexperienced driver may struggle in a manual car as compared to an automatic where all the gear shifts are taken care for you. Not only do you get to save money in fuel with a manual car but you also make savings when it comes to maintenance. This is because manual systems have a way simpler design as compared to manual systems which are considered complex. However, that is only with regards to fluid flashes which need to be changed every 60,000 miles at the least. When it comes to clutch replacement, the fact that automatic systems lack a clutch saves the car user big bucks. Clutches wear out and have to be replaced when they do. Replacement can be quite pricey. When the matter comes to which of the two is cheaper to purchase, manual cars happen to be cheaper. This may have something to do with the fact that they are less popular among car owners. Their little popularity also has the added benefit of making them less likely to be stolen as compared to automatics. However, when it comes to reselling, manual cars are far more difficult to resell as compared to automatics. This may have something to do with their low popularity. Why you should choose secured loans over unsecured ones? Copyright © 2019 Abbicoil Loans. All Rights Reserved.